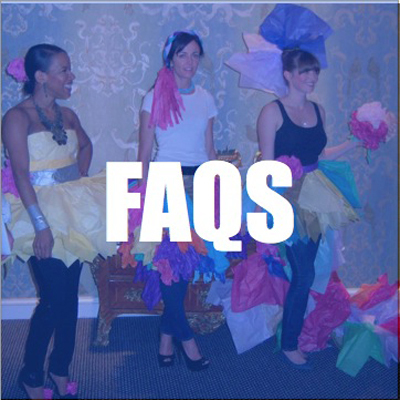 The most frequently asked questions from our members and from potential members. How do I renew my membership? - Visit here and fill out the Payment information and then complete your Member Profile through your Thank You email / confirmation. How do I become a new member? - Once you are invited by a current member, go to our Join / Renew section and pay. You will then receive a Thank You email where you can fill in your Member Profile. What if I haven't been invited by a member to join? You are welcome to attend one event as a guest to gain a membership invitation. I am a member and not getting emails, what should I do? Check your spam box, add info@designcollectiveatl.com to your address book, and make sure your profile is complete by signing in and clicking Edit My Profile. I've paid my membership dues, but haven't received a confirmation. This confirmation will be coming from PayPal, so please check your Spam folder. Can I pay my membership dues with a check? Yes, we accept checks but we prefer payment via Paypal because our site allows you to fill in your profile information. No cash please. What are membership levels? Membership levels are awarded based on the previous year's attendance. Design Collective wants to reward and acknowledge our biggest supporters. To track this we ask you to sign in at every event you attend. This is the only way we track attendance. Visionaries attended 9+ events, Influencers attended 4+ events. What about Company memberships? Design Collective is a organization made up of individuals in the community and therefore we only offer individual memberships. We only want people to join who are truly interested in our purpose. What is the DC Resource Page? Our resource page is a detailed listing of all our members and their contact information. This page is only accessible to members, so join today! How can I host an event? Hosts are required to attend three events before hosting, if you have fulfilled this requirement please email our events board at events@designcollectiveatl.com. When is the next event? Events are always the third Wednesday of the month. The lastest event is posted on our home page. How much are dues? Membership dues are $35. Dues are paid per calendar year (January thru December). Membership dues are nonrefundable. Please keep in mind that DC is a volunteer non-profit professional organization. We invite you to stay connected with us through our newsletters and by following us on our social media outlets. We promise, it's fun!